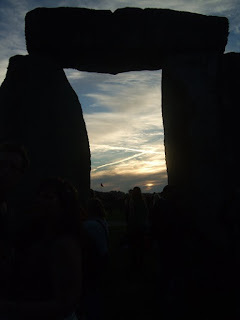 I am absolutely gutted because I lost most of the photos I took at Stonehenge over the Solstice on the night of 20th-21st June. The ones you see on this page and the one I posted yesterday morning are the only ones I saved out of lots. As I was downloading them, the card from my camera corrupted. I took it to a print shop where a very kind man tried to rescue what was on it, but without success. I suppose I should be pleased that I at least managed to save these. I promised that I would blog more about my Stonehenge adventure, so here goes. My hubby and I decided to visit Stonehenge in the day on the 20th and then come back in the evening for a chance to get among the stones with the Open Access that English Heritage allows at the Solstice. 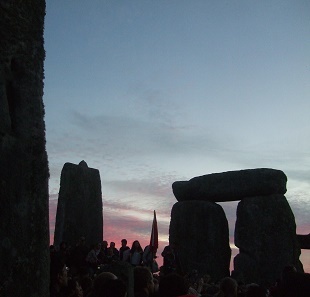 Despite setting off from London with four hours before before they stopped letting tourists in - which they do at 1pm on the solstice - we managed to get there with just 5 minutes to spare. Still, it was enough to experience the usual tour of the stones and the new visitor centre - which is actually very good and worth seeing. However, it isn't a patch on the experience of actually getting amongst the stone circle, which we did later that evening. We walked from Amesbury - a village about 2 miles away - and arrived in time to watch the sunset and the moonrise. The stones are so much more impressive up close than they are from the usual path around them - and the energy inside the circle is incredible. It was absolutely amazing to be able to touch the stones, something I haven't done since I was a small child. 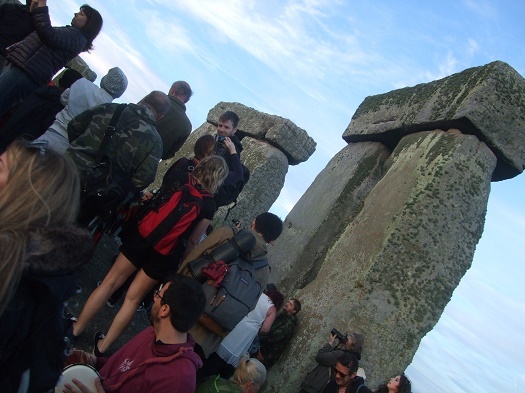 The rules this year meant that no alcohol was allowed at Stonehenge, but I didn't mind that. To be honest it was nice not to be surrounded by people who were too drunk. People were singing and drumming and the whole atmosphere was like a great party - happy and peaceful. The sunrise on the morning of the 20th was apparently the best for years too. Well worth going to see. 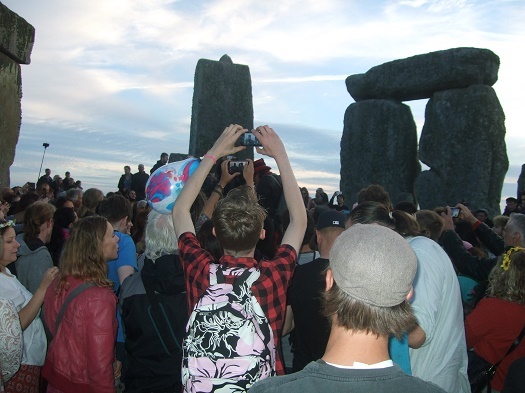 I envy you being able to attend the Solstice at Stonehenge. That's on my bucket list. Do come over and see it - you will love it!